Please join me in welcoming Annie D’Agostino to the blog today. She has lived in Atlanta for 16 years, and sewn for much longer than that. She is the owner of State Street Stitchery, a business where she teaches sewing, embroidery, and knitting lessons out of her home. She lives with her husband and three daughters in the Candler Park area of Atlanta. She’s here to take us fabric shopping in her home town. Atlanta is a big, bustling city, but it isn’t often considered a tourist destination. Tourism is big business here, but it is usually because visitors are coming for another reason: to attend a conference, visit family, go to a sporting event, and of course, transfer planes in the world’s busiest airport. 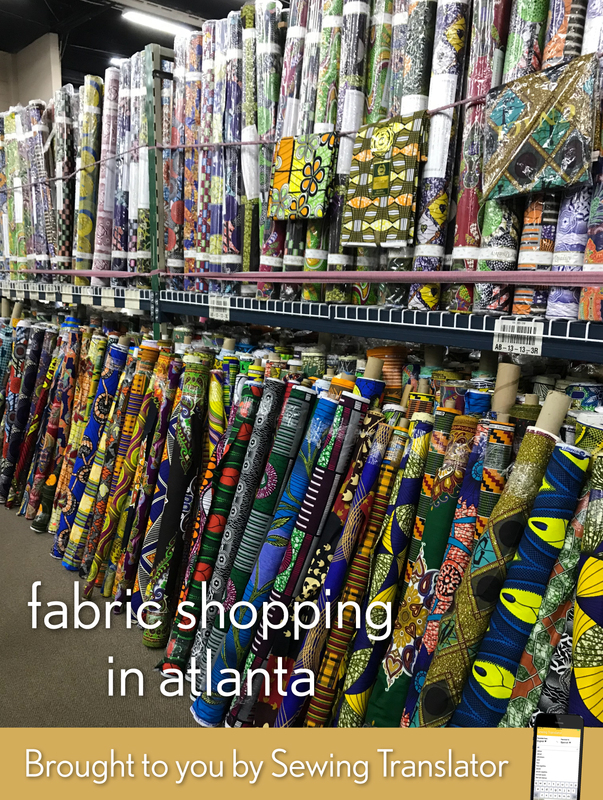 But next time you find yourself in Atlanta, I highly suggest visiting one of our incredible fabric stores. A costume designer for an Elton John tribute show and the “Elton John” singer himself, choosing among several sequined fabric. A tween-aged ice skater Facetiming with her coach to help decide on performance fabrics and embellishments to use for a costume. A designer searching for a certain width of snap tape to attach to drag queen attire because while he believes extra strength Velcro would do the trick, his customers prefer snap tape for quick changes. Two different Project Runway contestants from two different seasons, both working on upcoming collections. 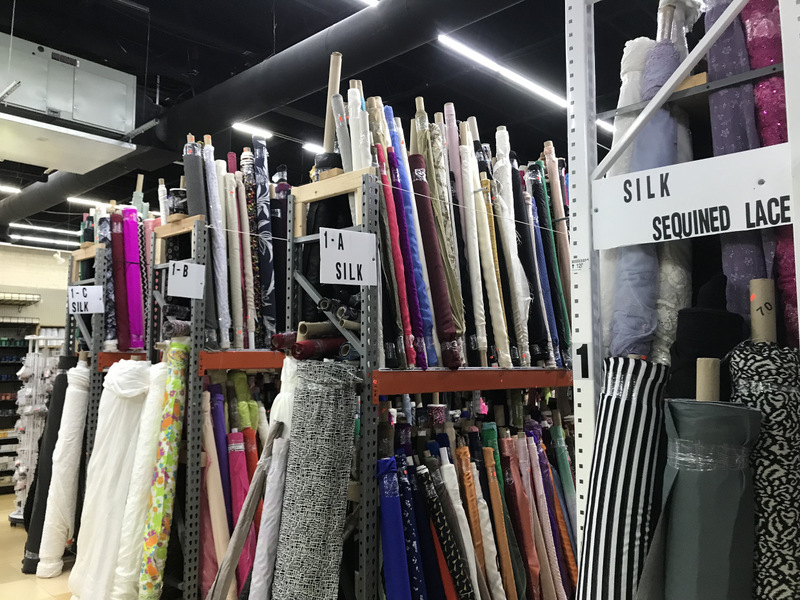 Probably the most notable of garment fabric stores here is Gail K Fabrics. They have two locations, but the one in Atlanta proper is the original. 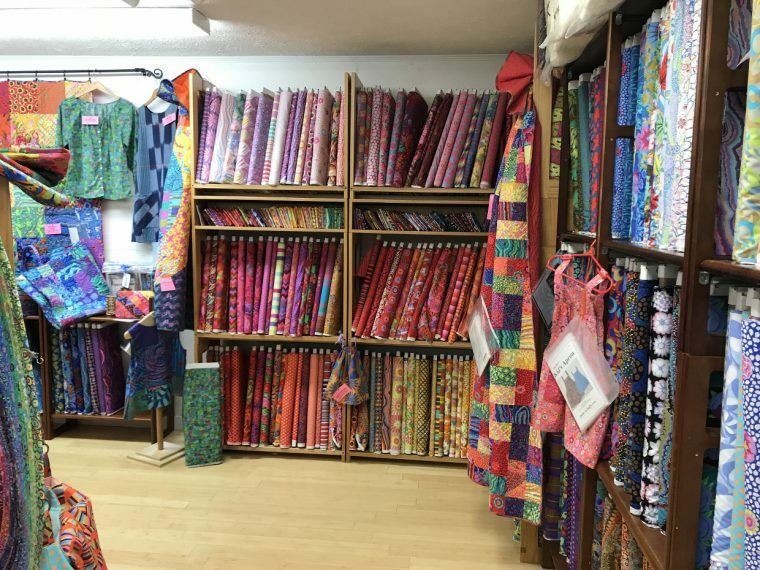 The store is filled with bolts of gorgeous fabrics and trims. Tables piled high with beautiful Italian wool suiting. Stacks of Lycra and other performance fabrics. 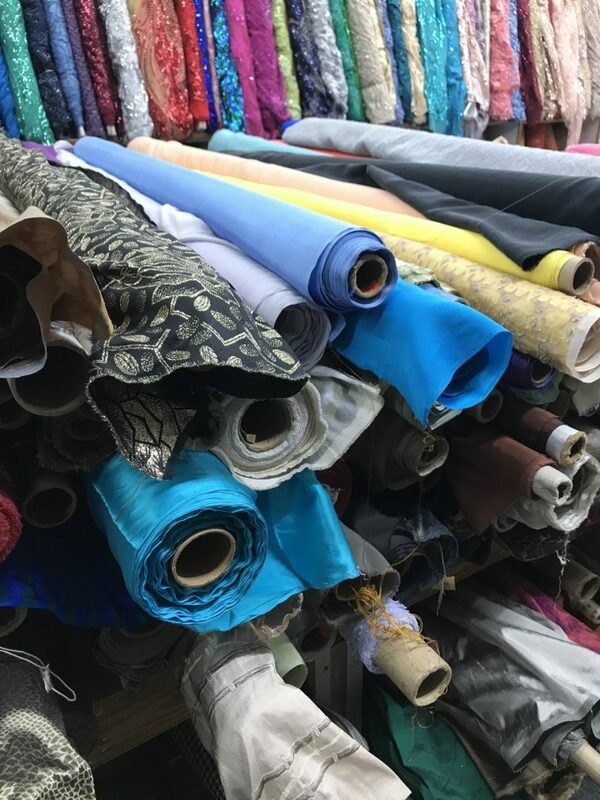 Raw silks and beautiful brocades. And the bridal section? Each fabric is more stunning than the next! Another store to visit Fine Fabrics, which is located about 20 minutes northeast of town. 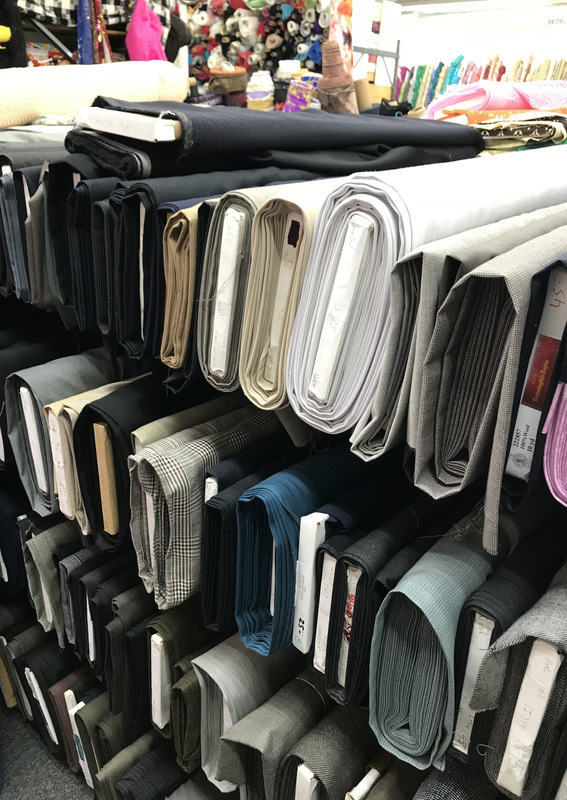 Fine Fabrics is an enormous space filled with innumerable bolts of fabric plus trims and elastic and buttons and fasteners of all types! While the aisles themselves are labeled by type of fabric, the labels are fairly general and the bolts themselves have no labels at all, so I rely almost solely on touch. This is a store where you can really find some bargains if you’re willing to search! My favorite part of this store though is the zipper section. Thousands of zippers in every color, length, and style you can imagine. 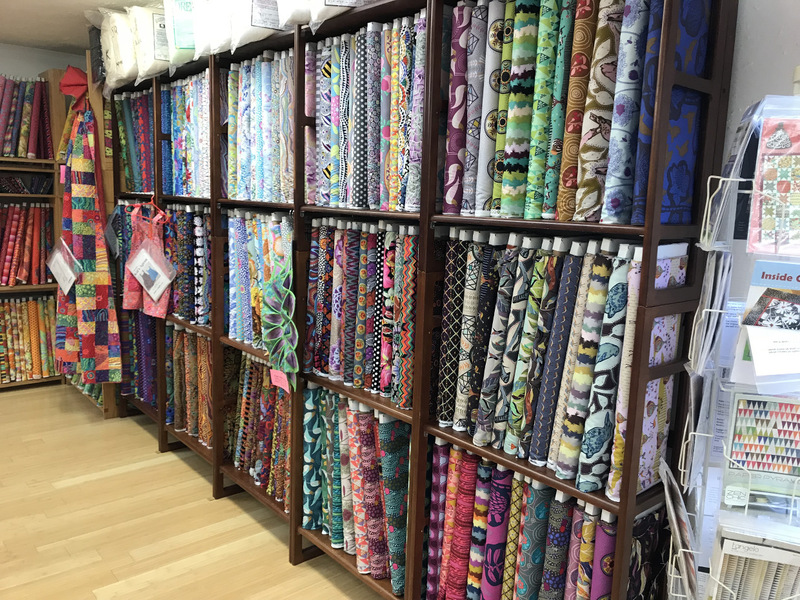 Finally, Intown Quilters is my go-to for all things modern quilting cotton and more. The “and more” part is for their lawns and voiles, and flannels and even some knits. I drool over the wide selection of Cotton + Steel prints in multiple substrates, and their Japanese imports are amazing. What they are best known for, however, is their selection of Kaffe Fasset cottons. They have hundreds of bolts in stock and are incredibly knowledgeable about the line. 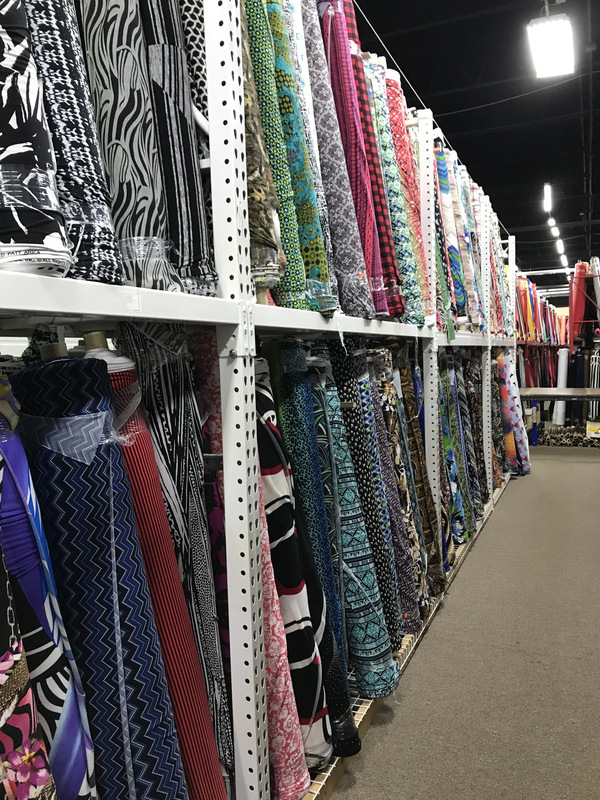 If you are visiting Atlanta, be sure to add fabric shopping to your itinerary. In fact, let me know when you’re in town and I’ll come join you. Thanks for the post! I live in Nashville (which also has some great fabric shops) but this has inspired me to take a day trip!! Hi! I live in Chattanooga. 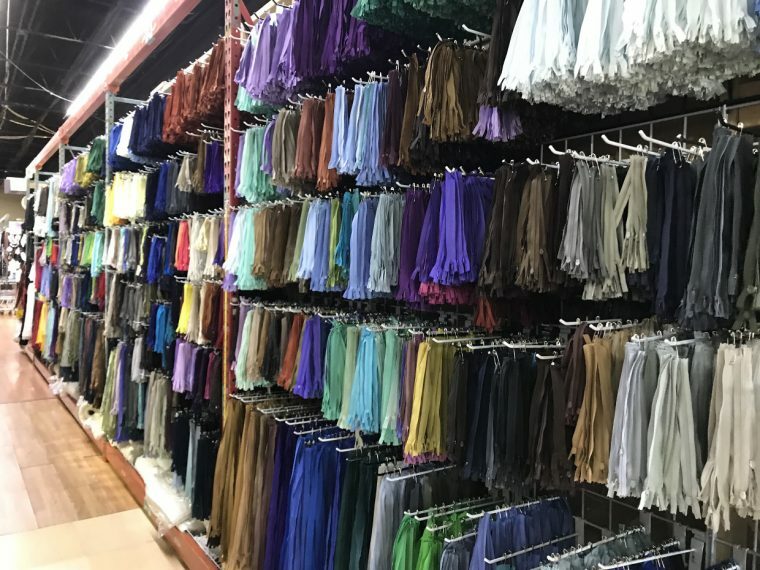 I visit Nashville sometimes and would love your recommendations on fabric stores there. Thanks. Kathryn, you’re in luck! 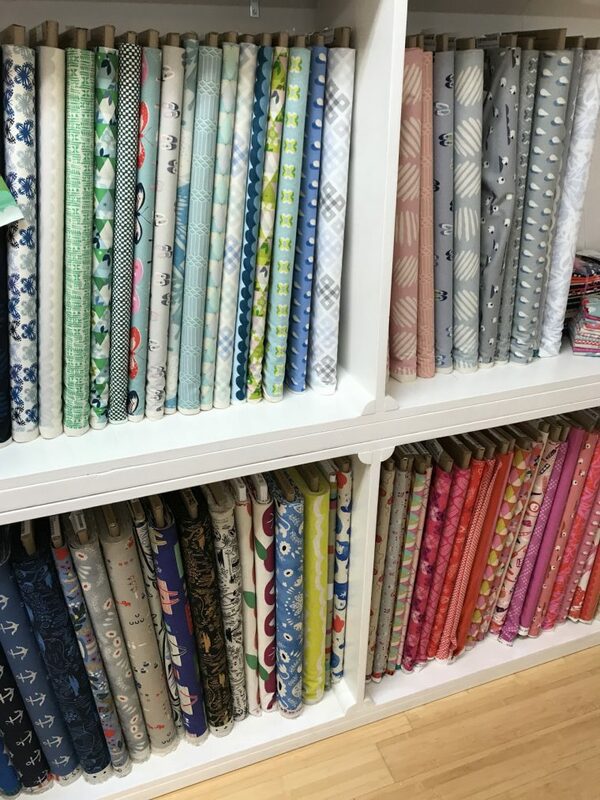 Sarah will be doing a fabric shopping in Nashville post for us in October! I’m so excited! There are only a couple of chain stores in Montgomery now so I’ve wanted to check out Atlanta, and now I know where to go. I agree! I live in suburban Atlanta and have been to Fine Fabrics and Gail K multiple times. Definitely worth a trip in town! Have you ever been to Topstitch Studio in Decatur (moving to Ponce City Market downtown soon)? They just opened, not even a year ago, and they have some gorgeous, high-end fabric and indi-patterns. I believe they even sell Oliver+S printed patterns. I highly recommend stopping by! Thank you for this article! Fine Fabrics and Topstitch are new to me and the latter I’m especially interested to learn of as I live nearby both the current and future location. Anyone coming to visit, their new location will be fantastic and fun to visit as a tourist. I’ve always heard great stuff about Gail K, but I found the store crowded, cramped, and IMO unwelcoming to beginners. Intown Quilters on the otherhand is bright and cheery with more room to view (as in photos) and I’ve always found the ladies helpful. It’s in an area that has seen decline for many years (dying suburban mall), but that is going to be redeveloped ‘soon’. For visitors to Atlanta, we also have great home dec fabric stores.